When it came to shenanigans, 2018 was one for the books. While we're ready to look to 2019 with optimism, we can't forget the moments that collectively made us shake our heads last year and question "WTF?" In no particular order, here's the "do better" roundup that we hope to leave behind as we electric slide into the new year. 1. Kanye West on slavery as a "choice"
Kanye West has always been known to be eccentric, but this year he really threw us for a loop — or under the bus. So much so, that it's debatable if he is still, in fact, cancelled. In May, Yeezy crashed the TMZ offices to profess many ideas about his genius, art and medication, but it was his thoughts on African American slavery that grabbed headlines. "When you hear about slavery for 400 years — 400 years? That sounds like a choice," reasoned Yeezy, slyly asserting that victims of the Transatlantic slave trade could have or should have just packed up and went elsewhere with ease. Luckily , the good brother Van Lathan was on hand to inform him of how disappointing and dangerous his comments were. "While you are making music, and being an artist, and living the life that you've earned by being a genius, the rest of us in society have to deal with these threats to our lives," Lathan said. "We have to deal with the marginalization that's come from the 400 years of slavery that you said for our people was a choice." Lathan dropped the mic by ending with, "Frankly, I'm disappointed, I'm appalled, and brother, I am unbelievably hurt by the fact that you have morphed into something — to me — that's not real." Massa: but I’m still hungry! West eventually apologized on WGCI 107.5, saying he was sorry about how it made "us feel." In October, Joe Budden threw a rock at a hornets' nest when he screamed at his co-host Scottie Beam during a taping of his show State of the Culture for refusing to be upset over Brittany Renner's tell-all book Judge This Cover. In it, Renner detailed many of her past sexual liaisons with industry players. “I want you to sound just as sensible as you as you do every other show; when a man is doing f**k s**t, and you want to kill all the men, you want to lock up all the men, you want to do everything to men! You don’t want to do nothing to women!! That is my problem with this fake, women empowerment bulls**t,” Budden aggressively yelled, while Beam tried to get a word in. Basically saying, "Who hurt you sis?" His condescension did not go unnoticed by Twitter. Blavity covered the ashy implications and triggering affects of the statement. Since its opening in 2016, the National Museum of African American History and Culture (NMAAHC) has been a coveted experience. With numerous conversations around cultural appropriation happening in recent years, one would assume that a Black man asking how a white woman, cultural historian Timothy Anne Burnside, got in position to curate the hip-hop archive at the nation's premier museum of African American history wouldn't seem odd. But that wasn't the case. "Many of Burnside’s celebrity and internet 'famous' Black friends came to her defense, and even garnered a lot of side eyes from social media as they seemingly berated Swagg, a Black man, in defense of a white woman. Some of the comments ranged from 'How dare he question an ally’s work' to 'Well, maybe no Black people applied for the job?'" Essence noted. In the end, a divisive battle between Black Twitter and verified Black Twitter ensued, with many Black content creators apologizing or adding commentary. In October, 16-year-old Treasure Richards of Detroit shocked the world when she appeared on Dr. Phil to confess, "I'm white. I'm a Caucasian because everything about me is different from an African American," she said. "I have naturally straight hair. My hair is not nappy; it doesn't require a weave." Though it was obvious that Treasure was not, in fact, a Caucasian woman — but a Black girl with a perm — a woman claiming to be her sister soon emerged to expose the rouse. "All Treasure known is Black all her life...Treasure is banned from every CVS in America, she's a middle-school dropout, such a hoodrat, sold fake hair online for high prices, delivered fake weave to people's home that was like bulls**t quality dollar store hair for like $50 and stuff like that. She had people looking for her," Treasure's alleged sister Nina Kimberly states in the above video. Cardi B and rapper Offset's relationship made the headlines several times in 2018, not only for altercations resulting from alleged infidelities, but also for starting a young family. In early December, everything apparently came to a head when Cardi B released a candid video on Instagram announcing the end of their union. Weeks later, Offset chose to make a very public apology to his estranged wife by crashing her historic Rolling Loud performance, where she was first woman to head the series.“I just want to tell you I’m sorry, bruh — in person, in front of the world,” Offset proclaimed as he walked on stage. In May, hip-hop OG Pusha T released a scathing rebuttal geared towards Drake's "Duppy Freestyle." 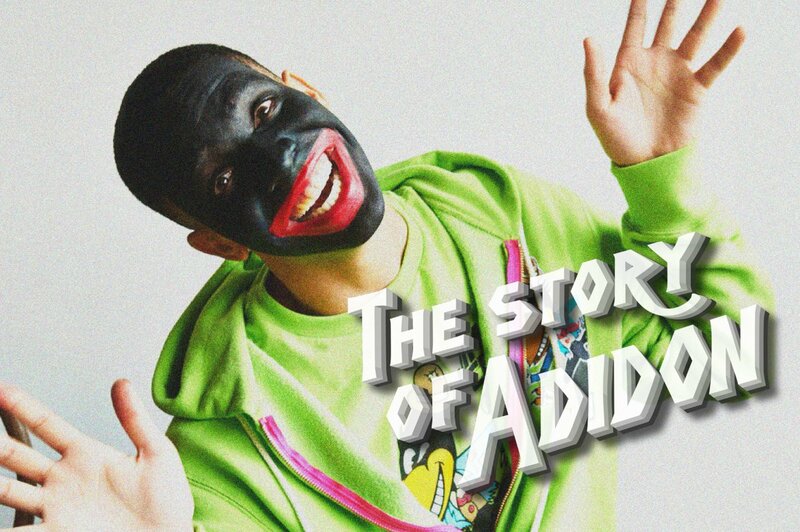 In the diss track titled "The Story of Adidon," Pusha T not only raised allegations that Drake had a secret son, but he also released this a cringeworthy photo of Drake in blackface. Kanye West went to visit Donald Trump in October for a chit-chat, confirming that the once pro-Black trailblazer is an unrecognizable version of his former self. At the meeting, West essentially professed his love for Trump and how wearing the infamous MAGA hat made him feel like "superman." He also shared that his 2005 on-air criticism of George W. Bush's negligence during Hurricane Katrina was a result of him being programmed to think from a "victimized mentality, a welfare mentality." Trump looked on in disbelief, before West gleefully jumped up to hug him. It was also noted that Kanye West's password was "000000." In September, the murky and storied beef between femcees Nicki Minaj and Cardi B came to a head in the form of a thrown shoe. According TMZ, at Harper’s BAZAAR ICONS Fashion Week party, Cardi B approached Nicki's table screaming. She eventually took off her shoe and threw at Minaj.Though the shoe did not connect, Cardi B was reportedly escorted from the party wearing one shoe. she also had a knot on her face. 2018 was a wild ride! Let's see what the new year has in store.